“Declaring the narrator psychotic won’t get us anywhere,” said my English professor as we were coming to a close on our discussion. In this class, we had spent the last two weeks attempting to unravel this novel by Christa Wolf called City of Angels, or the Overcoat of Dr. Freud. It was troubling for everyone – including the teacher – to fully comprehend the book due to its strange form. The major conflict is about repressed memory and the narrator/protagonist’s inner struggle. Even though we couldn’t draw a clear picture of what was happening and what was going on with the character, to answer all our questions with, “Oh, she’s nuts. Well then, that explains everything,” would be dismissive. Dumb. Not to mention insulting. For many years, the United States – possibly every nation – has regarded mental illness with the same kind of attitude. Although, some people on Facebook voiced their concerns about finances and the fear of propaganda. I understand why some would think that our leaders’ first defense against mental illness is to heavily medicate the population. The problems in the previous decade hasn’t exactly left the government with earned respect and trust among the people. In my opinion, this is an unnecessary thing to fret about. There are various options against depression, anxiety and so forth. If the doctor announces that you might be bipolar, you don’t have to start popping pills. Here’s the other side of the coin and let me make this perfectly crystal clear. “Insanity” never hands you a white vest. If you kill–if you break the law–you shall be punished. If the circumstances forced you to hurt someone in self-defense, then I will lighten up, but the very idea that the clinically insane people should be excused for their crime disgusts me. Someone like James Holmes who plots to murder and pulls through the plan is obviously crazy. You don’t need a PhD to figure that out. On USA Today‘s Facebook page, there were people ready to sympathize with Holmes, “because he might not have understood what he was doing.” Certain mental illnesses do change the way you observe things and absorb information; that’s true. He might have not understood the pain he was causing other. However, my point still stands. Holmes killed. Holmes deserves no pity. 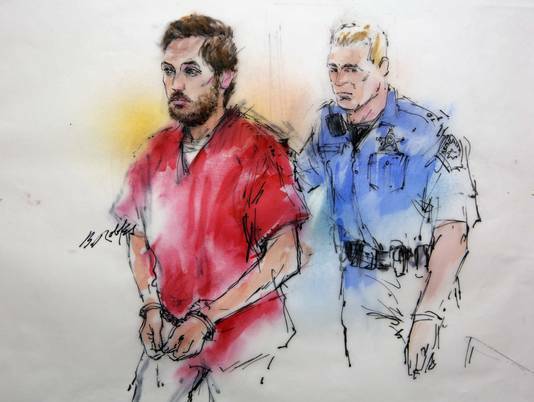 In an article about the Aurora mass shooter, former Colorado state public defender Dan Recht said, “This is not a ‘Who Done It?’ case. The evidence is beyond dispute. The only real question is whether his illness rises to the level of insanity and if he understood right from wrong when he committed those acts.” That is ridiculous. If every criminal got to decide whether he should be punished, the streets would be crawling with them. No one would go to jail. I know I sound harsh, but if there’s no redemption for someone as damaged as Holmes, we might as well hang him and the other crazies. Why should our tax money be wasted on prisons that feed and house these murderers? **This blog entry was written for ‘Writing for Mass Media,’ JRN202, at Central Michigan University.